The more common, First Type: You’re a single guy, and you want to meet some new, fun, and exciting people such as beautiful women who are fun-loving and like to dance. Indeed, many women will agree that there is no more attractive man than the one who can handle a lady on a dance floor with class and style. The rationale is simple, you make a girl feel-good and she falls in love with you. Yes, meeting new people through social ballroom dancing can be great. It’s becoming trendy, popular and attractive. It can also be fun, and even if you do not meet somebody right away, you will still have the opportunity to interact with many different people and perhaps boost your confidence, and improve your self awareness in terms of gaining a better understanding of your own body from moving through the space to the music. If you’re a shy person, you will also have a unique opportunity to learn to be more social, and gain more confidence in your interactions with people in dancing circles. Thus, if meeting new people is your goal, you will want to make a good first impression about yourself, and continually maintain that good image of yourself in your dancing community. some investment on your part, and investing in the way a look is the least you can and should do! Let me humor you: For all of you desperate, single lads out there, put your immediate goal of meeting that perfect woman in a dance class or a social dance aside for a moment 🙂 (To tell you the truth, you never know, I met my fiance at a Social Dance! ), and instead go there with a goal of actually learning how to dance. Trust me, you will have fun in the process as well as get to meet other fun people who like to dance. Be serious about learning, but do not appear “too eager”, because you will want to maintain that “aura of mystery” about yourself. 🙂 Remember, you’re doing it for the ladies, but you do not want to be too obvious about it, right? Further, do not appear to “too eager” to meet new people at a social dance or a class. After all, you are there to learn to dance. Let socializing happen naturally! Of course, you should be friendly and polite, but perhaps “not too friendly” until you feel comfortable. You will want to get a good feel for your environment and feel comfortable internally before you jump into the whole socializing business. But, if a nice lady chooses to approach you at a dance class or a social event, and be friendly to you, there is nothing wrong with being friendly back. – You could always make some friends, or even find a dance partner. With that being said, don’t just sit there and play the waiting game, if there is someone you really want to dance with, go for it! As the old saying goes, No Guts, No Glory. Words of Wisdom you will Ignore: Have a long-term strategy in mind and remember that, if you keep a low profile, then eventually you will actually become a better dancer without blowing your cover, and that will give you a chance to actually impress the ladies not only with your dancing, but also with your character and who you are as a man. It’s truly irresistible to see a man who came, saw, and conquered. Even if it’s only the art and challenge of ballroom dancing, which is something that most men are too shy to try in the first place! Second Type: You are in it because you want to learn how to dance, and take care of this inadequacy in your life once and for all! You are determined and committed. You will do well as long as you pace yourself, stay focused, and have fun in the process. You may still encounter a lot of challenges like any man does in the beginning, but ultimately you stand a good chance to become more musical, develop a better understanding of the musicality and sense of rhythm, as well as shed a few pounds in the process. Ballroom dancing is great low impact and low intensity exercise, which is ideal for people who are trying to lose weight. With dancing you can lose weight without even trying, and you get to have some fun in the process. What more could you ask for!? It will always be far more difficult for an average man with no dancing experience to learn how to dance, than it will ever be for an average woman. Most women have been exposed to at least some type of dance sometime in their life, while most men have not. Further, it does not make matters easier for men that they are expected to know how to lead a woman in a dance. Needless to say, men are expected to do it well. Keep these differences in mind for the times when you encounter challenges, which you certainly will. Stay committed and try to understand that a man is responsible for learning how to lead a lady in dance much the same way you are responsible for knowing how to drive a car if you expect to be a smooth operator. Think back to the days when you were learning how to drive; you felt excited, yet you were tense and nervous, which is only natural. Learning how to dance can be very similar to learning how to drive a car. You may well struggle at first, but once you finally master the basics and start having fun. You will be able to dance your lady much like you cruise in your car on a beautiful sunny day without ever having to think how to actually do it. It will become so deeply ingrained in your subconsciousness that you you will no longer have to think about it. You will be able to just do it! Be sure to find a good and appropriate partner you can practice with. Be sure to practice your routines and dance steps by yourself and with your partner. Be sure to practice the technique by yourself and incorporate the dancing technique elements into your social dance. It will make your dance look that much better. Be sure to attend group classes regularly, practice what you learned in your spare time and go to social dances, so you can put your newly learned skills to work and gain more confidence. Learn to have fun and enjoy the process and the spirit of dance. Give it at least six months of learning before you can expect to see significant changes. Chances are that one day, you will discover that you have made significant improvements in your dancing. People, and women in particular will start noticing, and so will you! Don’t be surprised if you get to the point where ballroom dancing, which used to seem like work, suddenly becomes fun and addictive! The golden rule for a lady who’s aspiring to become a good social dancer, is to only dance with a partner when you feel-good within yourself. This way, you will approach every dance as an opportunity to enjoy the music and the flow of dance, as well as better your follower’s skills. It’s really important that you do not dance with a gentleman when you do not feel good within yourself, because your mood can greatly enhance your dancing, but being in a bad mood can also greatly hinder your dancing, as well as send a wrong message to the gentleman. The key is not to put on a fake smile when you dance, but rather the key is to learn to feel-good about and within yourself when you’re actually on the dance floor. The dancing is all about joy and learning how to feel-good in a moment. So, learn to let your guard down and allow yourself to enjoy the process of dance. For the ladies, it’s also important to understand that dancing only with a man who can lead well, can sometimes give you a false sensation that you’re a great follower, because the guy may be so good that he makes it seem effortless for both partners. Thus, you will want to avoid the trap of thinking that you’re a good dancer as long as you are dancing with a highly skilled leader. I think a good way for you to track your progress is to base your assessment of your dancing skills based on a partnership with a man who is a solid leader, but not on dancing with somebody who is simply an outstanding leader / dancer. Further, if you dance with the same partner all the time, you may develop some bad habits without becoming aware of it. So you have mastered the basics of social dancing, and you would like get to the next level. You want to attend a ballroom dancing competition, but you do not want to be eliminated in the first round. In fact, you are an ambitious person and you want to win the competition! You want to dance so well that you can win it! You want to experience the joy, and the exhilarating excitement of competing proving to the world that you are the best dancer out there! Or you may simply want to just be able to survive in your first ballroom dancing competition. 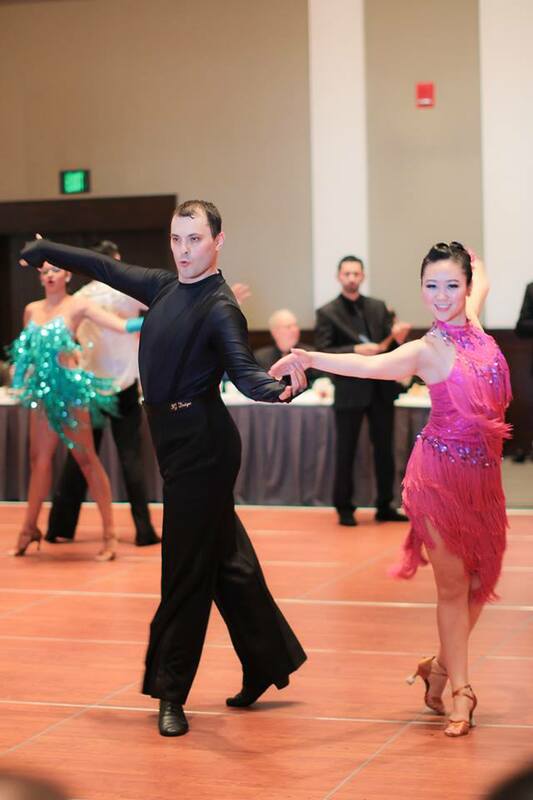 No matter where you are and no matter how lofty your ultimate goals can be, I am going to give you some helpful tips to make the most out of your experience in ballroom dancing competition. Before you immerse yourself into a ballroom dancing competition, make sure you know what to expect. Go and watch your first ballroom dancing competitions to get a better idea of what to expect. It is best for you to choose the dances you would like to compete in, early on. Then, get an adequate level of preparation to compete at the level of your choice. Practice to the point that you can feel confident to dance under pressure. Be sure you understand the fundamental dance technique expected for the level you plan to dance in. Be sure that you have practiced with your partner, and that you know your routine, as well as she does. Consider getting a private lesson with your partner to have a professional instructor help you with your routine and your technique. You may need more than a few private lessons for any given dance at the bronze and silver level. Plan to spend five hours practicing what you’ve learned in a one hour private lesson. Practice until you get a good feel for what you have learned so you can retain and internalize that knowledge. It will also be a great way to make sure that your hard earned money is well spent. Be sure to practice with your partner, and by yourself so you are well prepared. Position yourself for success on the dance floor. If you have a private lesson scheduled, get there early, stretch and warm up, and go over the elements you’ve learned in the last lesson. Get focused and mentally prepared to make the most of your time with the instructor. Get yourself a pair of appropriate and well fitted dance pants, shirt, and shoes. You do not want to go to battle without being properly equipped. Consider getting yourself a pair of custom made dance pants, dance shirt, and custom made ballroom dancing shoes. If you’re serious about competing, then investing in a great dance-wear will be a worthy investment. Make sure that your partner is as ready to compete as you are. Your partner must be able to dance under pressure, and for a whole day if needed be. It takes desire and commitment to do it. Make sure your partner is willing and ready to do it, or find a different partner. It is critical to approach every ballroom dancing competition with clear mind, focus, and see every competition as an opportunity to get better no matter what happens. You will find that you will feel confident when you know that you’ve spent sufficient amount of time practicing, and the refining your dance technique and routines. You will feel good and confident about yourself when you know that you have properly fitted dance shoes, great looking dance pants, and a desire to dance to best of your ability. Go out there, have fun, and feel the music. Allow the music to fill you up and consume you from within. Let the music take over the pressure, and let it be the fuel powering your dance. Let your partner be the inspiration, and let the dance that you and your dancing partner create together be the words of the song you are dancing to. Real confidence is gained with doing. So fake it until you make it! Keep your chin up, feel the music, and allow yourself to be excited about dancing. Enjoy the moment and don’t dance to quickly. Let your dance flow, and find the inspiration and confidence in the music. When I was serving with the infantry company in Iraq in 2005, I discovered the beauty of Salsa dancing quite by accident. I made friends with a female Marine soldier who was also serving in Al Asad. My friend invited me to a Salsa party that was organized for the troops in the Morale and Recreation Center for the soldiers on Saturday night. It was a 1-day downtime in between the 3-day missions, and I had to be up at 4am to go on a yet another 3-day mission. Instead of resting I decided to go and check out the Salsa dance. They were showing basic steps to Salsa, and I fell in love with the music. That’s when I made a commitment to myself to learn how to dance when I get back home, if I’m fortunate enough to get back home in one piece. Thankfully, I did get back home in one piece. Ballroom dancing has made it easier for me to integrate back into the society, and it has became a true joy and passion for me. I would encourage you to learn how to ballroom dance and experience the true joy and excitement of dancing to the music for yourself along with your partner! In my spare time, I enjoy competing in the international Latin dancing style, and I find that ballroom dancing can be a great way to express my emotions of joy and share it with the world. My name is Aleksandr Biyevetskiy. I started learning how to ballroom dance at Rhode Island College, shortly after I’ve returned home from my tour of duty in Iraq. I found learning how to ballroom dance a challenging and a highly rewarding experience. Currently, I dance with MIT Ballroom Dancing Team. New to Ballroom Dancing? How are you approaching it? How is it working out for you so far? Please share your thoughts and comments!